Today, to honor the Feb. 4 centennial of the birth of Rosa Parks, the United States Postal Service has issued a Rosa Parks stamp. 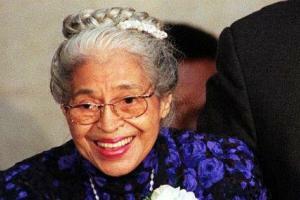 Yet these tributes to Rosa Parks rest on a narrow and distorted vision of her legacy. A more thorough accounting of Parks' political life offers a different set of reasons for the nation to honor her. A lifetime of steadfastness and outrage, tenacity and bravery, is what deserves national veneration.